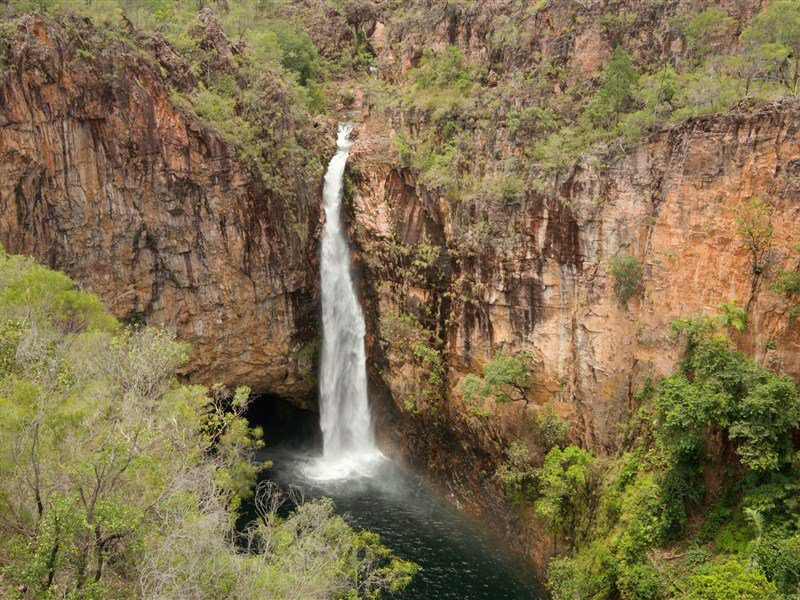 Batchelor is best known as the gateway to Litchfield National Park. 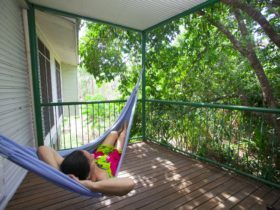 Located 98 kilometres south of Darwin, just off the Stuart Highway (Explorer’s Way) and with a population of 358, Batchelor is an excellent base from which to explore Litchfield. 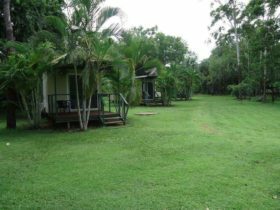 Tourism became Batchelor’s key industry when Litchfield was declared a National Park in 1986. 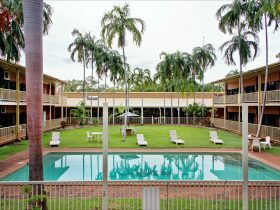 The town is also home to a residential tertiary college, catering specifically to Aboriginal students. 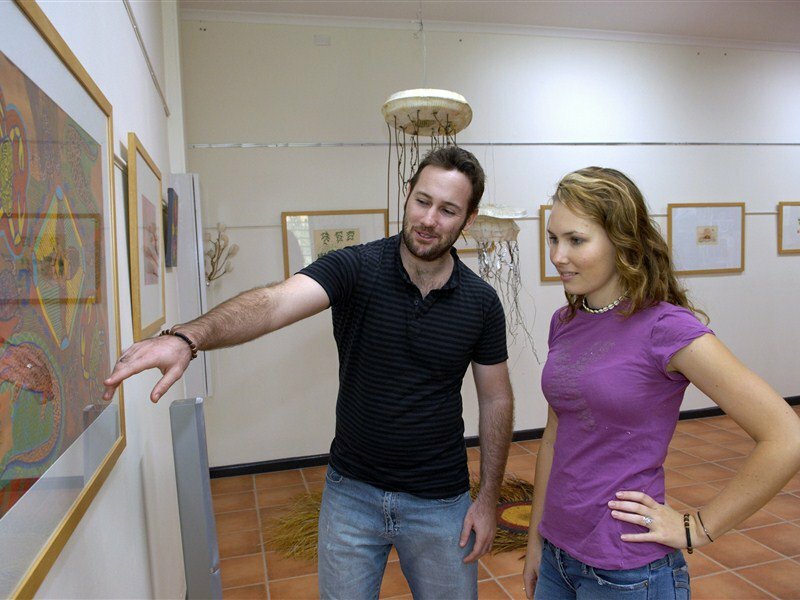 While in Batchelor, drop into the Coomalie Cultural Centre. The centre conducts artist’s residencies, exhibitions and cultural projects and operates a retail outlet of art and craft. A bush tucker garden and a mural surround the centre. The town was named after the South Australian Labour politician Egerton Lee Batchelor (1865-1911) who became Minister for the Northern Territory in 1911. Batchelor grew slowly, with brief spurts of mining and agricultural activity until World War II when it was turned into an Allied Air Force base. An extension to the 1930s airstrip occurred in 1941 to accommodate the large US B-17 flying fortress aircraft, which operated here following the bombing of Pearl Harbour. 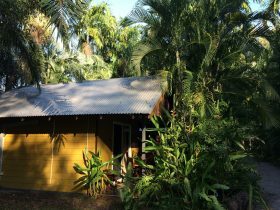 In the 1950s a prospector named Jack White discovered uranium deposits at nearby Rum Jungle. The town grew as mining began in 1951, the mine was closed in 1963 with the treatment plant closing down in 1971. 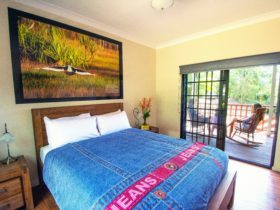 Legend has it that Rum Jungle earned its name after a rather raucous incident in 1871 when a bullock-wagon loaded with rum became bogged near jungle in the East Finniss River area causing the bullockies to settle in for one of the most notorious binges in Northern Territory history. 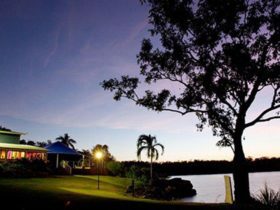 Batchelor is an Urban Location area within the local government area of Coomalie in Northern Territory, it is located approximately 70kms from the capital Darwin and extends over an area of 115.696 square kilometres. 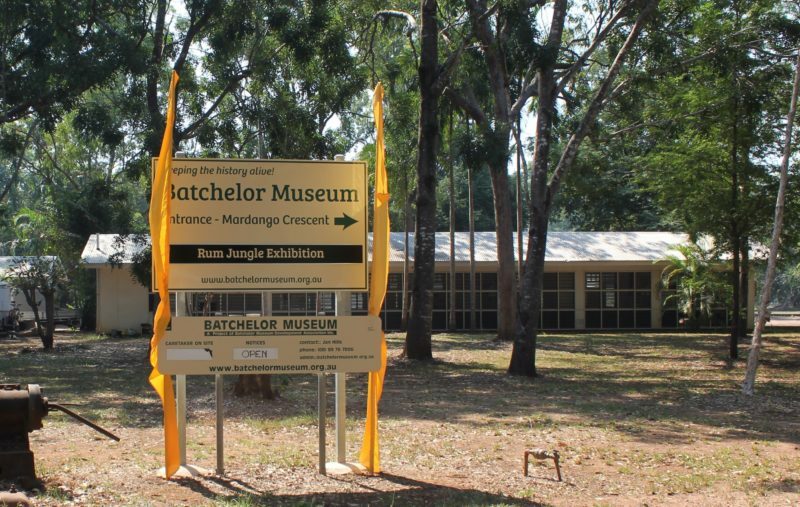 Batchelor has a recorded population of 507 residents and is within the Australian Central Standard Time zone Australia/Darwin. If you are planning a visit to Batchelor we’ve put together some of the things you can see or do while you are here. These include, places to stay, tours and attractions, some upcoming events and places where you can grab a meal. Go ahead, try one of the buttons above. Every destination has something worth seeing so start exploring… If you know Batchelor and think we’ve missed something, let us know and we’ll share it here.